Forest bathing — simply being in the presence of trees — became part of a national public health programme in Japan in 1982 when the forestry ministry coined the phrase shinrin-yoku, to encourage therapeutic time in nature. Numerous scientific studies in Japan have since proved that time immersed in woodland is good for your health. Perhaps best of all is the simple fact that time in the forest can offer a soothing break from our 2D, multi-screen and increasingly urban daily environment. 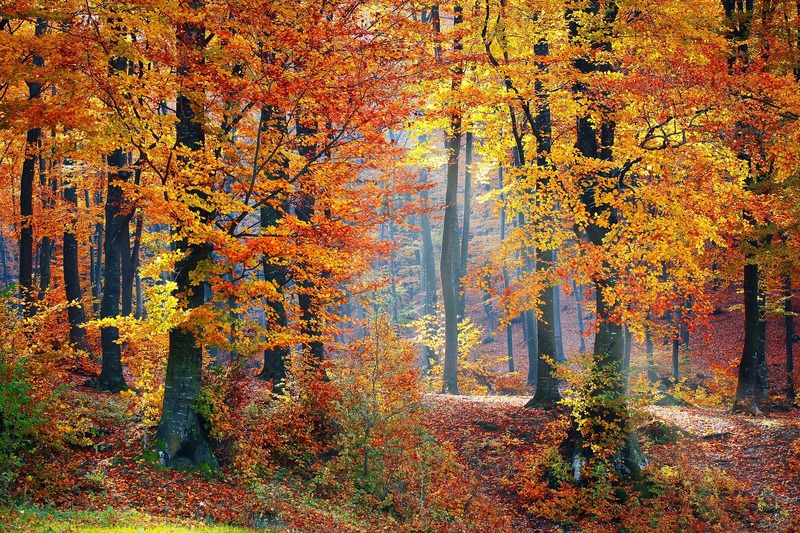 So what more excuse do you need to get into the woods and enjoy the glorious autumn colours? Selhub & Logan, Your Brain on Nature: The Science of Nature’s Influence on your Health, Happiness and Vitality. Collins 2014. Morita E. et al. Psychological effects of forest environments on healthy adults: Shinrin-yoku (forest-air bathing, walking) as a possible method of stress reduction. Public Health Volume 121, Issue 1, Pages 54–63. Li Q et al. Effect of phytoncide from trees on human natural killer cell function. Int J Immunopathol Pharmacol. 2009 Oct-Dec;22(4):951-9. Park, B.J. et al. The physiological effects of Shinrin-yoku (taking in the forest atmosphere or forest bathing): evidence from field experiments in 24 forests across Japan. Environ Health Prev Med. 2010 Jan;15(1):18-26.